What could be better than good, healthy food made fast? Eating healthy shouldn’t take so long. The average dinner takes over two hours from start to finish. But, not with The Stacked Meal Plan! You know how the last thing you wanna do after a long day is cook a complicated meal? What if there was another, EASIER way? 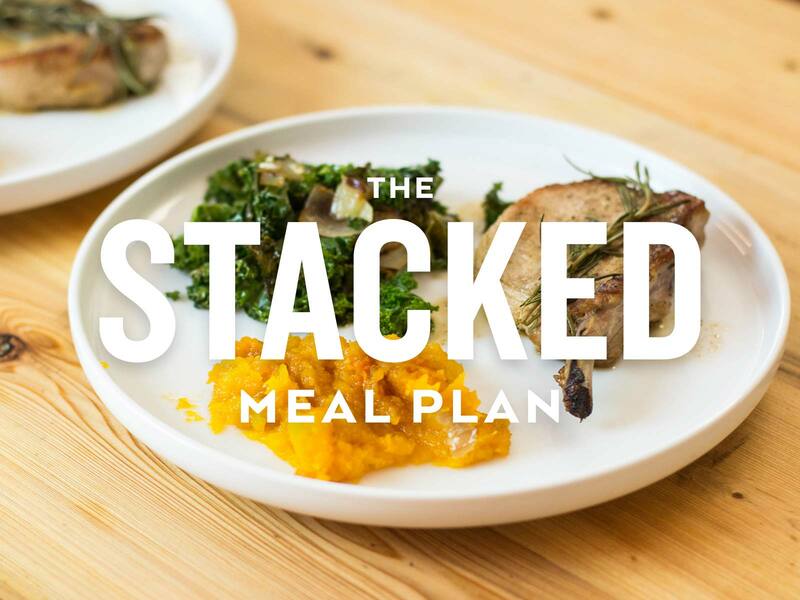 The Stacked Meal Plans show you how to make 6 real-food only, gluten free, delicious meals in 1 hour total each week. Now you don’t have to eat crappy food, can spend more time with people you love AND can feel better too! Eating healthy shouldn’t be so hard. The average dinner takes over 2 hours from start to finish. Here, we show you how you can easily make 6 healthy and tasty meals in 1 hour total EACH WEEK. Coaching on how to best use this plan to make your life easier is included in your subscription. 1:1 phone coaching is also available to you, free of charge! Each week, we deliver our meal plans in two ways: a super snazzy printable pdf and a personal online library with all your meal plans, optimized for your mobile device.